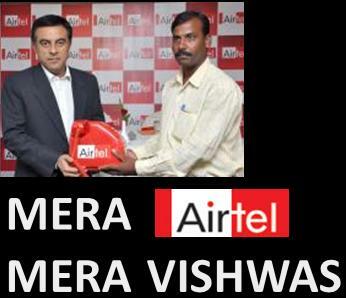 AirTel’s innovative yet powerful relations with customers went into a next level with its extension of the campaign “Atoot Network Atoot Bandhan” to “‘Mera Airtel, Mera Vishwas’” which will enable Farmers of Vidharba to earn alternate revenue. As a part of this campaign, Airtel will offer 100 PCO boxes to the farmers spread across 20 villages in Vidharba for FREE. Each PCO box is of worth Rs.2, 500 and also has a FREE initial talktime of worth Rs.2, 800. With this, farmers of Vidarbha would be given an opportunity to earn alternate revenue by presenting 100 farmers with PCO boxes. This innovative preposition will provide impetus to the growth of 100 farmers spread across 20 villages in Vidarbha. Villages from Amravati, Yavatmal Bhandara, Akola, and Wardha with a population of 15,000 to 20,000 will be the first to benefit from this initiative. Along with enhancing the lives of these farmers monetarily, this initiative will further improve quality of life of the villagers by strengthening the telephone connectivity. The process of farmer selection was done by the Sarpanch of the respective villages who as per his understanding appointed farmers who are in need of the same. This initiative further allows the other members of the family to earn money while at home. Hope that with such kind of initiatives by Bharti Airtel, other operators too will extend its warm relationship with the Farmers! Airtel’s network is very poor in Goa.